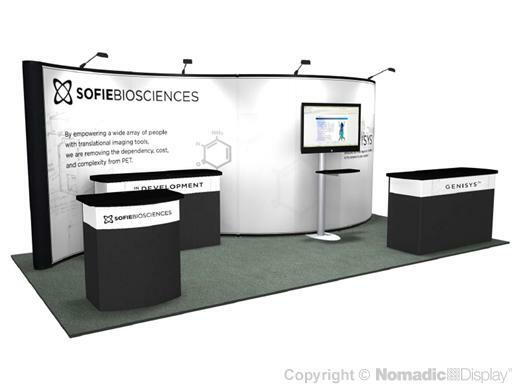 This Nomadic booth rental delivers custom design impact, effective brand communication and functionality at significant cost savings. Grab audience attention with this 20' serpentine wall featuring a wide screen monitor and display counters offering plenty of work surface for product display and internal storage capacity. Choose this design or let us design one that better meets your aesthetic, functional and budgetary requirements.